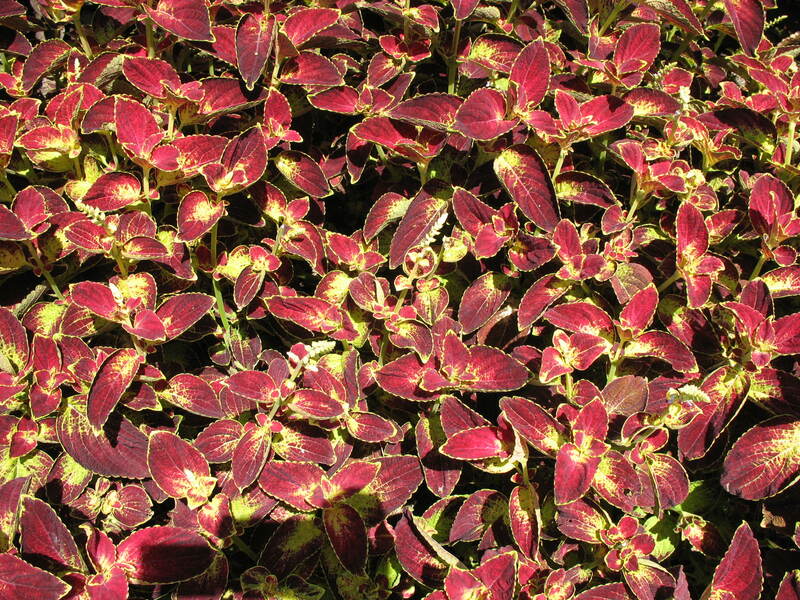 Comments: This coleus produces rich red leaves with yellow centers. Coleus plants make excellent container plants. The color impact is immediate because of the colorful foliage. Fertilize plants several times during the summer and remove all flower stalks to encourage repeat growth of colorful foliage. This coleus is reported to grow well in sunlight.